Truman State University was featured in the Oct. 24 issue of “The Chronicle of Education” as a top producer of Fulbright awards for U.S. students among master’s level institutions. The article includes a list compiled by the Institute of International Education of “Top Producing” schools - those institutions in each Carnegie Classification that had the highest number of students who received Fulbright grants this year. Truman was determined a master’s institution in 2005 by the Carnegie Foundation for the Advancement of Teaching. The four groups of institutions listed include research institutions, bachelor’s institutions, master’s institutions and other institutions. The “other” category represents specialized and unclassified institutions. A complete list of institutions is available at http://us.fulbrightonline.org. In 2008-2009, Hannah Kay and Gregory Wiser were each awarded Fulbright scholarships from the U.S. Department of State and the J. William Fulbright Foreign Scholarship Board. Kay, a 2008 Truman graduate from Springfield, Ill., received a U.S. student scholarship to Russia for teaching English as a foreign language. Wiser, a 2007 Truman graduate from Springfield, Mo., received the same scholarship to teach English in Germany. The Fulbright Program provides myriad opportunities to strengthen the global reach of a community of teachers and learners who will energize and internationalize institutions for years to come. About 1,500 students and 1,300 scholars from the United States and abroad are studying and working on Fulbrights this academic year. Throughout its history, the Fulbright Program has allowed more than 108,000 Americans to study, teach or conduct research abroad, while more than 178,000 students, scholars and teachers from other countries have engaged in similar activities in the United States. The program operates in more than 155 countries worldwide. For more information visit http://www.cies.org/ or http://fulbright.state.gov/. With the help of the recent FoodFast effort, the Truman campus has achieved its goal of raising $56,000 for the United Way of Adair County. The FoodFast campaign allows students to donate “meals” through Sodexho, with the cost of the meal going to the United Way. Student advisers in the residence halls went door to door collecting donations during the campaign. This year, FoodFast raised a stunning $5,144.80. Participants in Truman’s United Way campaign celebrate the University meeting its goal last week. Pictured left to right: Nick Landon, Centennial Hall student adviser; Melinda Wood, retired staff chair; Brad Chambers, Truman drive co-chair; Adam Barbee, Ryle Hall student adviser; Justine Chorvat, West Campus Suites student adviser; and Emily Walker, student drive chair. Campaign co-chairs Brad Chambers and Debra Kerby said they were thankful to all those who contributed this year. Although the campus community has reached 100 percent of the established goal, donations can still be made until Nov. 14 to Chambers in the Advancement Office. After that, donations can be made directly to the United Way at 304 S. Franklin. Two Truman State University student publications were recently honored at the National College Media Convention in Kansas City, Mo. The Index, Truman’s student-produced newspaper, received second place in the Best of Show competition for four-year weekly broadsheet publications. Detours, the student-produced travel magazine, was honored as a Pacemaker Award finalist. The Pacemaker is the highest honor available to Associated Collegiate Press members and is considered one of the most prestigious awards in collegiate journalism. Both competitions involved publications from across the country and Canada. Nebojsa Jovan Zivkovic, internationally renowned percussion artist and composer, will be visiting Truman’s campus Nov. 12 -14. Zivkovic is a native Serbian, but has studied and lived most of his professional life in Germany. 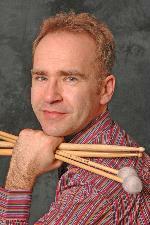 He is considered by many to be one of the most influential and dynamic European percussionists/composers of our time. His music has been performed all over the world by orchestras such as the London Symphony Orchestra, Chicago Symphony, Stuttgart Philharmonic, Munich Symphonic, Belgrade Philharmonic and the Lithuanian State Symphony Orchestra. During his visit at Truman, Zivkovic will coach ensemble rehearsals, conduct master classes on percussion performance and history, as well as give lectures and presentations on composition, performance psychology and Serbian and Croatian music. Zivkovic’s music will be exclusively featured in a concert at 8 p.m. Nov. 14 in Ophelia Parrish Performance Hall. The program will include performances with the Truman Graduate Percussion Trio, as well as a world premiere for two percussionists with Michael R. Bump, associate professor of music. Admission is free. For a complete schedule of events, please contact Bump at 785.4052 or at mbump@truman.edu. Zivkovic’s appearance is sponsored by the Truman Percussion Society and the University Funding Allotment Council. For more information on Zivkovic, please visit http://www.zivkovic.de/. Violinist Oliver Steiner will perform the Mendelssohn Violin Concerto as guest soloist with the University Symphony Orchestra at 8 p.m. Nov. 13 in the Ophelia Parrish Performance Hall. Following his studies at Juilliard, Steiner was awarded scholarships that led to appearances at European music festivals and to his studies with Nathan Milstein in Zurich. From 1972-1992 Steiner was a member of the violin faculty at Rochester New York’s Eastman School of Music. His latest CD, consisting of the Brahms D Minor Sonata and a collection of short pieces, is available from http://www.CDBaby.com. Admission to the concert is free and open to the public. The remainder of the program will feature the orchestra in performances of Rossini’s Overture to La Gazza Ladra and the Schubert Unfinished Symphony. The International Student Affairs Office is seeking Truman faculty and staff interested in joining the International Friends program. International Friends pairs an international student with a family in the community. While it is not a host family program where students live with families, American participants are encouraged to invite their International Friend to meals, games, movies, discussions and other activities to share culture and provide international students with a friendly, supportive environment. For questions about the International Friends program, or to join, contact the International Student Affairs Office at 785.4215 or e-mail at intladmit@truman.edu. The French Government is again seeking applicants ages 20-30 to work as teaching assistants in English at public schools in the secondary system in France. While the first deadline is in November, applications can be made until late January. For basic information, go to http://www.frenchculture.org/spip.php?article396. To access to the full 13-page application, go to http://www.ciep.fr/en/assistantetr/index.php This is the only application for US citizens to use. A discussion of this program will take place at 4:30 p.m. Nov. 17 in Baldwin Hall 272B. Contact Gregg Siewert, professor of French at gsiewert@truman.edu with any additional questions. Full-time juniors and seniors are invited to enter The Elie Wiesel Prize in Ethics Essay Contest and compete for $10,000 in prizes. Any student interested in entering the contest is required to have a professor review his or her essay and sign the Contest Entry Form. Deadline to enter the contest is Dec. 19. For further information and required forms, please visit their website at http://www.eliewieselfoundation.org. The Webster Groves Herb Society is offering a scholarship up to $3,000 to qualifying sophomores, juniors, seniors and graduate students enrolled in a Missouri college or university who are majoring in Horticulture, Floriculture, Landscape Design, Botany, Plant Pathology, Forestry, Agronomy, Environmental Concerns, City Planning, Land Management or allied subject. Applications for the 2009-2010 academic year must be submitted on the required application form and mailed to the Webster Groves Herb Society. Visit the Truman State University Financial Aid office for requirements and the application form for this scholarship. Deadline for scholarship submission is Mar. 1, 2009. Formerly a real estate developer and lawyer, Tom Carnahan is now the founder and president of Wind Capital Group L.L.C., the first wind energy developer in Missouri. While wind energy was growing rapidly around the country, no one was developing projects in Missouri. Today, Carnahan has 79 turbines spinning over farmland in northwestern Missouri. Wind Capital is currently undertaking four major projects, representing nearly $300 million in development, Carnahan said. The projects will generate 162 megawatts of electricity, which is enough to power 100,000 homes. The staff at Wind Capital has grown as quickly as the turbines, with 18 employees in 2007, as compared to two employees in 2006. As a member of the American Wind Energy Association’s Legislative and Policy Committee, Carnahan also keeps an eye on the energy policy debate in Washington, D.C.
Dinner reservations must be made through Truman’s Public Relations Office in McClain Hall 101. A limited number of tickets are still available. Cost for students is $5 or one meal block. Cost for faculty, staff or community members is $15. Banquet is complimentary to Northeast Missouri Alumni Chapter members and their families, $15 for non-members. The meal will also be complimentary for those joining the chapter that evening. Female college juniors may apply by e-mailing ttcw@glamour.com or logging on to http://www.glamour.com/about/top-to-college-women. Winners receive a $3,000 cash prize, coverage in an issue of Glamour and a trip to New York City for an awards luncheon. To nominate, visit https://www.all-usanomination.com before Dec. 12. Students must have a minimum GPA of 3.2 and must be interested in becoming a Foreign Service Officer in the U.S. Department of State. Deadline for the fellowship is Feb. 6, 2009. For more information go to http://www.woodrow.org/. The ISAO is hiring hall hosts for scholarship, work study or institutional jobs next semester. Applications are currently being accepted for molecular ecology research for 2009. In the struggle against censorship, the protectors of intellectual freedom must stand ever vigilant. Student Service Coordinators and tutors for spring 2009. For more information, please visit http://ub.truman.edu/ or call 785.4244. Mike Ashcraft, associate professor of religion, presented the paper “The Scholarship of Eileen Barker, Massimo Introvigne, and J. Gordon Melton,” in a session on New Religious Movements at the 2008 annual meeting of the American Academy of Religion in Chicago, Ill.
Michael Borchardt, a senior political science major from St. Louis, Mo., presented “The Criminalization of a Common Practice in the Digital Age: The NET Act and DMCA” at the Crime and Popular Culture Conference in Warrensburg, Mo., Oct. 29. Joe Nedelec, instructor in justice systems, and Paul Parker, professor of political science, presented, “Stranger Danger and South Park: An Exploration of Moral Panics,” at the same conference. An article by Parker and Ben Coate, a 2008 Truman graduate, “Whose Justice? Prosecution and Defense Reactions to Capital-Case Reversals,” was published in the most recent issue of The Justice System Journal. Warren Gooch, professor of music, has had two musical compositions selected for performance at the 2009 Region VI Society of Composers Conference at Oklahoma City University. “Cellgames 2.0” for symphonic wind ensemble and “The Harvest Moon” for mixed choir will be performed at the conference, which takes place Feb. 27-Mar. 1, 2009. These compositions and works by other composers were selected from a pool of more than 300 works submitted by 164 composers representing 36 states and Canada. Amber Johnson, associate professor of anthropology, published “Exploring Texas Archaeology with a Model of Intensification” with Robert Hard, a professor at the University of Texas at San Antonio, in "Plains Anthropologist." Jason Miller, associate professor of mathematics and director of the Mathematical Biology and STEP programs at Truman, gave a talk in Saint Louis University’s Interdisciplinary Applied Science (IAS) doctoral program. The talk, titled “Matlab and Mammalogists: Toward Quantitative Identification of Free-flying Bats,” described collaborative work with Scott Burt, associate professor of biology, and discussed lessons in interdisciplinary education learned by Truman’s mathematical biology program. Students interested in learning more about a new Study Abroad program in Capetown, South Africa from May 14 to June 5, 2009, should plan to attend one of the following information sessions in the Student Union Building 3202: 5:30-6:30 p.m. Nov. 12; and 4:30-5:30 p.m. Nov. 13. Contact Elaine McDuff at emcduff@truman.edu for more information. Student adviser and apartment manager applications will be available online at http://reslife.truman.edu/ beginning Nov. 12. Student adviser information sessions will take place Nov. 18 and 19, as well as Dec. 3 and 4. Apartment manager information sessions will take place Nov. 20 and Dec. 2. All sessions will meet at 7 p.m. in the Missouri Hall Chariton Room. The Student Activities Board will host the One Republic concert at 7 p.m. Nov. 13 in Pershing Arena. Tickets are free with a Truman ID and can be picked up at the SAB office. The Society for Sino-American Studies and the Multicultural Affairs Center will host Asian Food Night at 6 p.m. Nov. 16 in the Ryle Hall main lounge. The dinner will feature dishes from different Asian countries all over the world. The cost is $5 per person and limited seats are available so arrive early. The SERVE Center will host the Big Week of Giving Nov. 16-21. The Big Week of Giving is a week-long canned food drive and ends with Hungerfest, a concert composed of various student performance organizations, at 7 p.m. Nov. 21 in Baldwin Auditorium. The SERVE Center and the Central Missouri Food Bank coordinated this event. Admission to the concert is free, however canned goods or nonperishable food items are appreciated. Cardinal Key will host a fall interest party at 6:30 p.m. Nov. 18 in the Alumni Room of the Student Union Building. Cardinal Key, a national honor/service organization made up of 25 women, is looking for members interested in service and sisterhood. They will be making Thanksgiving cards for the residents of Manor Care at the event. The Center for Teaching and Learning will host the Missouri Foundation for Health (MFH) Information Meeting at 3 p.m. Nov. 19 in the Student Union Building 3202. Thomas Adams, the MFH representative for the area, will host a question and answer session regarding MFH funding programs and grant processes. Sigma Kappa will host “Twisting for Alzheimer’s,” a Twister tournament to benefit Alzheimer’s disease, from 8-10 p.m. Nov. 20 in Georgian Room B of the Student Union Building. The Student Peace Alliance will host a peer mediation workshop from 6:30-8:30 p.m. Nov. 20 in the Georgian Room C of the Student Union Building. Please RSVP to lan658@truman.edu by Nov. 17. The Department of Classical and Modern Languages and the Classics Club will host the Classics Capstone Symposium at 7 p.m. Nov. 20 in the Student Union Building 3202. The following students will be presenting their capstone papers: Sarah Biggerstaff, Josie Grillas, Catherine Hayward and Van Le. The Student Activities Board will sponsor "Battle in Baldwin" at 6 p.m. Nov. 22 in Baldwin Auditorium. Come watch Enigma Dance Kru and Automatic battle it out in the ultimate hip-hop dance crew challenge. Both groups were featured on MTV’s “America’s Best Dance Crew.” The event is free for Truman students with an ID. General admission is $5. Detours Magazine offers two subscriptions plans: $3.99 per issue or $7 for a whole year. Detours is an award-winning magazine that features the hidden treasures of the Midwest. For subscription information call 785.7438 or e-mail detours@truman.edu.